From June 23 to June 25 Charlotte Elton, Cora Herrera, Dan Hinckley, Celestino Mariano and Bill Adsett visited the mountainous area of Cerros Santiago and Cerro Colorado in the Comarca Ngäbe-Buglé on and near the Continental Divide. On June 23 we explored the new road that turns off eastward from the Cerro Colorado Road at 30.9 km from the Panamericana highway and goes all the way to Llano Tugrí, capital of the Comarca Ngäbe-Buglé. The road is between 1050 and 1300 m above sea level, and passes through degraded land and forest patches (some connected to higher forest), crossing several streams. 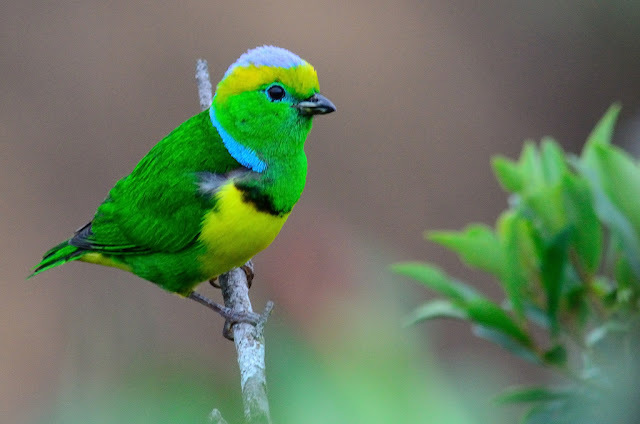 It was not very birdy but did yield a few species of interest such as White-throated Thrush, White-winged Tanager, Elegant Euphonia, Lesser Nighthawk, Long-billed Starthroat and Torrent Tyrannulet. The road gives a spectacular view of the imposing nearby hills and Cerro Santiago itself (2100 m), most of which are still forested. 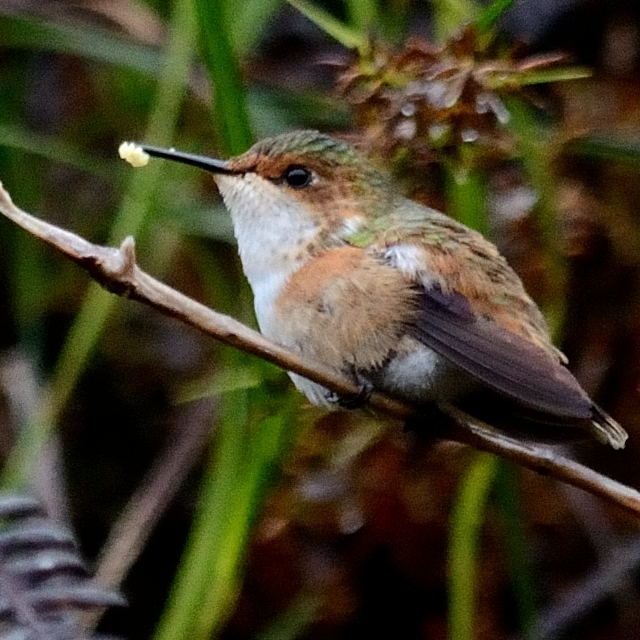 It is worth further exploration, especially to look for Glow-throated Hummingbird. However, all land is privately owned by individual Ngäbe families and if you are discovered walking away from the road without prior permission you are likely to get locked up or worse! 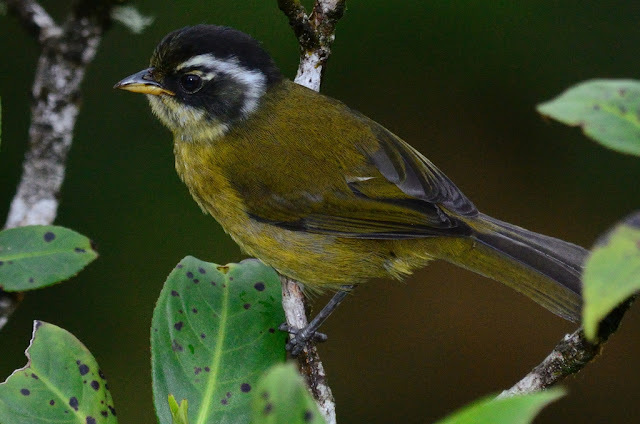 At the road to Llano Tugrí, we also had Black-headed Nightingale-Thrush! Ken Allaire helped me to identify a song I recorded in the more forested bit of the road, of a bird that was moving around low in dense undergrowth but would not show itself. 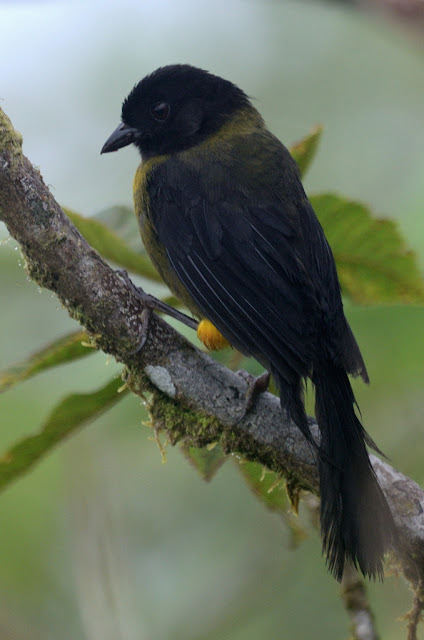 I shall have to check if I took a waypoint, but I estimate the altitude at around 1300 m. There were several Lance-tailed Manakins at the same spot. Its a bit of a surprise to find this species in that area, but according to Ridgely and Angehr, it does cross to the Pacific slope from its more usual haunts on the Atlantic Slope in Veraguas. Later that day, and the next we explored higher up the mountains, on the road that flanks Cerro Santiago, goes over Cerro Colorado and ends in Ratón. At heights of 1500 to 1700 m above sea level we found many female plumaged Selasphorus hummingbirds (above) that could have been either Scintillant or the endemic Glow-throated Hummingbird, and mixed in with them all the way to the top were several very similar-looking female Magenta-throated Woodstars (below). 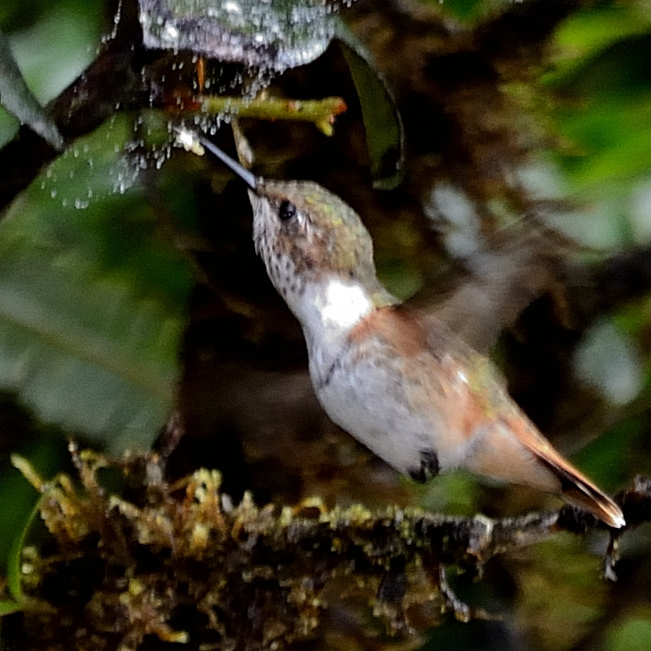 They were feeding mainly on red flowers of ground epiphytes, but seemed to be extracting some kind of seed pod rather than nectar. As on previous trips, no male of any of these species was seen. There were also many Green Violetears, and of special note was one well-lit and very obvious Magnificent Hummingbird, far away from its formerly known range around Volcán Barú. 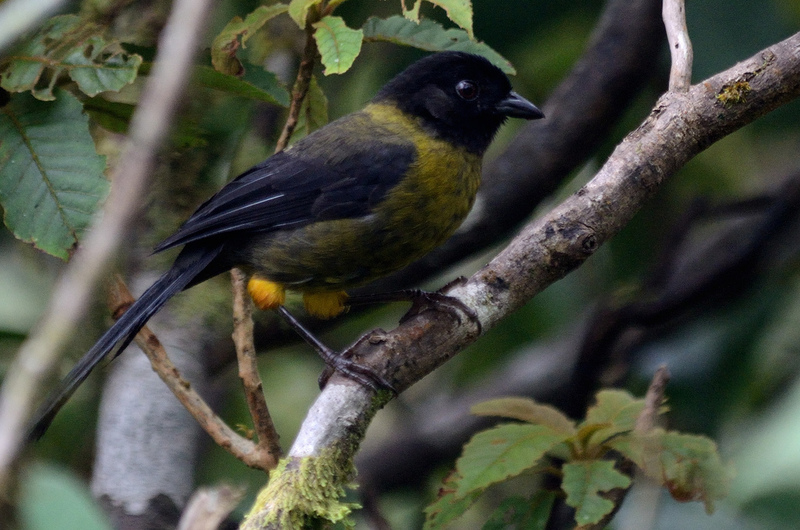 We surmise that both these species are seasonal altitudinal migrants from the surrounding mountains (2100–2500 m) that have never been reached by ornithologists or birders. Other species of note were Sooty-capped Bush-Tanager, Prong-billed Barbet, Red-faced Spinetails attending a nest, a family of Ruddy Treerunners, Stripe-tailed Hummingbird, Purple-throated Woodstar, Chestnut-collared Swift and last but not least the endemic Yellow-Green Finch, posing nicely for photographs. The photos are by Daniel Hinckley.